The current Government shutdown in the USA caused by the political dispute over President Trump’s demand for funding for a wall along the US border with Mexico is having significant negative effects on the historic environment and nature conservation of the ‘treasured’ National Parks system, as well as related agencies falling within the realm of the Department of the Interior. During this shutdown 80% of the employees of the NPS have been furloughed, leaving only skeleton staff mainly for policing and security. 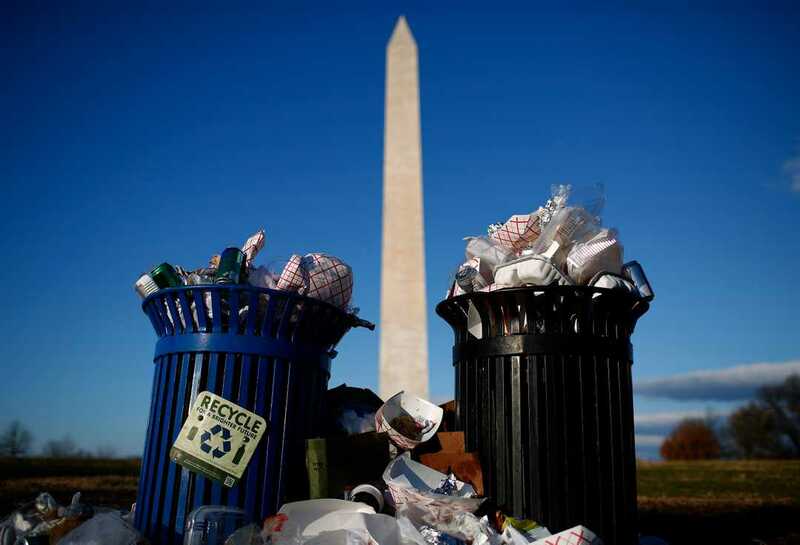 It has been reported that the National Parks Service is losing $400,000 per day by not collecting admissions revenue where parks and heritage sites charge, quite apart from wider revenue lost from concessions, campgrounds, retail and hospitality. There have been widespread reports of significant human health, pollution and threats to nature and ecosystems, with sanitation sites overflowing and litter not being collected. Questions have also been asked on why sites have been left accessible, rather than simply closing the various NPS units/sites altogether. Maintenance backlogs and acute maintenance/management issues are building due to the impact of weather at this time of the year also. It is not a pretty picture – foremost for the dedicated NPS staff who are not being paid, many of which are trying to keep things going on a voluntary basis, secondly for the long-term damage being done to the natural and cultural resources of the Park System which has been heralded as “America’s Best Idea”, and thirdly for the unfortunate political circumstances whereby the environment (in its broadest form) comes low down in the pecking order when Government faces a crisis. Work on The Hold, the new heritage centre for Suffolk, is making progress. This week the membrane went down for the archive. 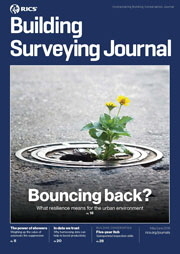 Journal summary: The RICS Building Surveying Journal (BSJ) is published bi-monthly and distributed in the UK and internationally to members of the Building Surveying Professional Group. It helps building surveyors with technical and professional aspects of their day jobs and covers topics ranging from pathology assessments through design and maintenance issues to the repair, refurbishment and restoration of buildings, keeping readers up to date with changes affecting business/practice matters. I noticed a sign on the garden gate at National Trust Mottistone: it appears to be a standard Ministry of Works sign. It needs to be remembered that the Royal Label Factory produced signs for both the Ministry and the National Trust. St Martin’s Kirk is on the eastern edge of Haddington and dates to the 12th century. It is possible that the kirk was attended by the reformer John Knox who was born in the town. The Kirk is in the care of Historic Environment Scotland. Melrose Abbey was a Cistercian foundation from Rievaulx Abbey in Yorkshire. It was placed in State Guardianship in 1919. The first guidebook was prepared by James S. Richardson and Marguerite Wood (1932). A second edition was prepared in 1949, and this continued into the period when the abbey was cared by the Department of the Environment. This phase coincided with a short card guide (1963), and a wider illustrated guide to the Border Abbeys (1964). The guide by Richardson and Wood was revised by C. J. Tabraham (1981; revised 1989). This was illustrated in black and white, and contained a plan of the abbey inside the back card cover. This was further revised in 1995 and then reprinted in 2003. This Historic Scotland guide has been revised by the ‘Official Souvenir Guide’ prepared by Chris Tabraham (2005). It is fully illustrated, much in colour. The guide includes the reconstruction by Alan Sorrell.